Hollywood Week has officially started on American Idol! From the usual nervous contestant (oh how I can relate) to the fall heard round the world, yes Symone Black is okay, last night’s episode definitely didn’t lack in the drama. This season I’m cooking up idol snacks for Yahoo! Music Blogger Lyndsey Parker and her music injected reality blog, Reality Rocks. Last night I started off Hollywood week with some delicious Veggie Stuffed Crescent Rolls and tonight I’m making some classic Cali cuisine (or my version at least)! 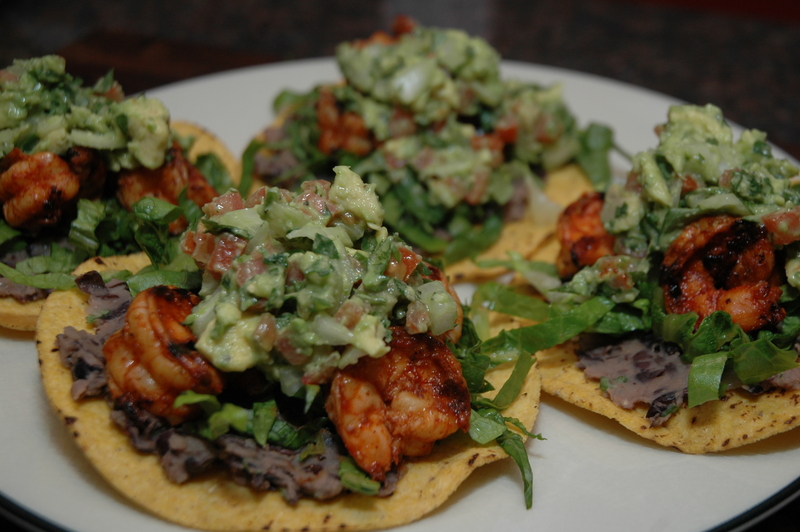 So while you’re waiting to see if Symone made it to the next round snack on my Shrimp Tostadas…they won’t disappoint!!! Click HERE to read my feature on Reality Rocks!